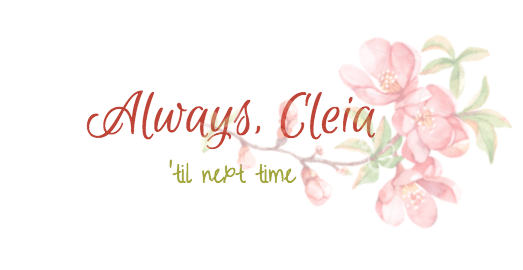 Hello and welcome back to modified blogmas on Always Cleia! I’ve added quite a few more holiday themed posts to my schedule than I did last year, it’s been a blast so far. How can you not love the holidays!? I’ve been excited for Christmas since November, it’s one of my favourite times of the year. Along with all the holiday shopping I’ve been doing I took some time so sit down and make my own wish list. Let me know what you’re wishing for this season! Under $20: Philosophy Glow On The Go Set I’ve never tried Philosophy skincare but I’ve heard good things about it. This set looks like the perfect way to try it out. Under $40: My Burberry Blush Rollerball I smelled this perfume in Sephora and have wanted to purchase it ever since! The rollerball looks and smells so pretty and feminine. Under $50: Pretty Vulgar Nightingale Palette I’m not a big smokey eye girl so most of my eye palettes consist of lighter peachy pink shades. Still, this palette looks very wearable for everyday and the packaging is gorgeous! The last two years I sent “Santa” my Modcloth wish list. My mom had a lot of fun picking out quirky clothes for me, and with the wish list she knows it’s something I’ll like. Modcloth has the cutest selection of vintage and retro style clothing! Under $20: The 52 Lists Project This book was made for me. I’m such a list maker, I’m always writing down to do lists, grocery lists, blogging lists, etc etc. Under $40: The Book Of Swords This book contains a short story from Robin Hobb who wrote my favourite book series ever, The Realm Of The Elderlings. The short story features an outside perspective on one of the main characters from the series. There are also short stories from other Fantasy authors including George RR Martin. Under $45: I Am Setsuna I’ve wanted this game for a while but I’ve been waiting for it to go on sale. It’s an RPG similar to the old Final Fantasy & Chrono Trigger Games. Under $70: Rise of The Tomb Raider Another game that I’ve been waiting to go on sale. I’ve been wanting this game since it released. I loved the last Tomb Raider release, but $70 is waaaay too much spend on a game. Hopefully it goes on sale for the Steam Winter sale! Next Post FabFitFun WINTER 2017 Unboxing + Review! Thank you! I hope you get some lovely things in your stocking too! I am Setsuna looks amazing!! It’s exactly the style of game that I love and I definitely want to play that one!! Oh and that Kate Spade journal is very pretty! I really like the image on the front! Let me know if you decide to try it out! RPG’s are my favourite! That Kate Spade agenda is adorable! I don’t really journal but now I want it, LOL. I know I personally hate spending money on things like gloves (or winter gear in general), but those gloves look super high quality and cozy looking! It’s a little bit bigger than the planner I usually use but It’s so pretty I can’t stop thinking about it! Me too, I feel like I need new gloves every year so I don’t like spending a lot on them. They’re super soft though! The packaging is what sucked me in honestly. I’ve heard too that the quality isn’t always great, but it just looks so pretty… I could always return it at Sephora if it doesn’t wow me! I love how versatile your list is! I used to love gaming but am less into it now. However, when I used to start a game, I would be addicted until I finished it. Those leather gloves look so luxe! Well I hope you get everything out of your list! !